The internet has revolutionized the buying and selling experience for estate and private collections. Gain insight from an auction house insider on how technology and the digital age impacts the value of artwork, jewelry, furniture and other collectibles through an interactive and social presentation on what’s hot and what’s not in the art world. Kristin Vaughn is the Senior Director of the Atlanta Regional Office and Southwest Florida for Leslie Hindman Auctioneers. She began with the Chicago-based firm in late 2009, and opened the first regional office for the firm in Naples, Florida in early 2010. Kristin works in tandem with all department experts at Hindman, and oversees the consignment process on behalf of private clients, trust and estate professionals, and museum staff. 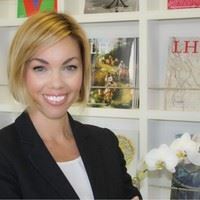 Prior to joining Hindman, Kristin worked in Marketing and Public Relations for a fine art, antiques and jewelry fair that organized museum-quality exhibitions in Palm Beach, Miami, and London. Kristin is originally from Dallas, Texas, and completed her graduate studies at Florida Gulf Coast University, receiving a Masters of Liberal Arts degree in English Literature.